In order to expand the cinematic experience beyond big screens, we launched the Bib for Kids Film Workshop three years ago. It became a true hit among our youngest audience: it took only two hours to receive submissions for all the available places. The films made at our past workshops, The Apparitions, The Fearless and Alone In A Cinema, were shown at the Croatian Children's Film Festival and International Mediterranean Film Festival. The Fearless won Best Film Award at Universal Kids Film Festival in Turkey in 2014. The above successes speak for themselves. The young filmmakers will learn basics about feature film (both theoretical and practical aspects). 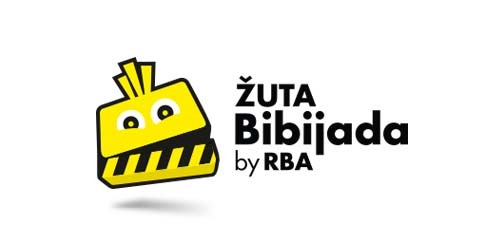 The film they will make during the workshop will premiere at the closing ceremony of this year's Yellow Bib for Kids by RBA in Europa Cinema on Saturday, 21 November. We believe that the film which is to be made this year will also screen at children's film festivals. We wish the film crew good luck and lots of success! Besides coming up with ideas, writing, directing, shooting and editing, I mostly teach and share my experience with others. I carry all the heavy equipment and drive the film crew around. I have eight years of experience teaching in an elementary school, filled with film and rock music, plus some 40 film workshops for elementary school kids I have conducted throughout Croatia. Of the major successes I can mention here the first award we ever received (won at Croatian Children's Film Festival for The Apparitions, made at Bib for Kids Workshop 2012). We won the expert jury award and the audience award. I also conducted a workshop in Istanbul, at Universal Kids Film Festival 2013 (where I traveled with 11 young filmmakers of 10 to 12 years of age). I lead the Croatian delegation to the Giffoni Experience International Film Festival in Italy. When translated into consecutive years, my experience would look something like this: two years of continued filmmaking, traveling to festivals and gaining experience together with my best film crew; four nice, creative and progressive years in Blank Club, where I had started; four years and five feature films at summer workshops at the Šibenik International Children's Festival; long-time cooperation with Four River Film Festival in Karlovac (two years as programmer and three years as workshop coordinator); and three successful Bib for Kids Workshops so far.